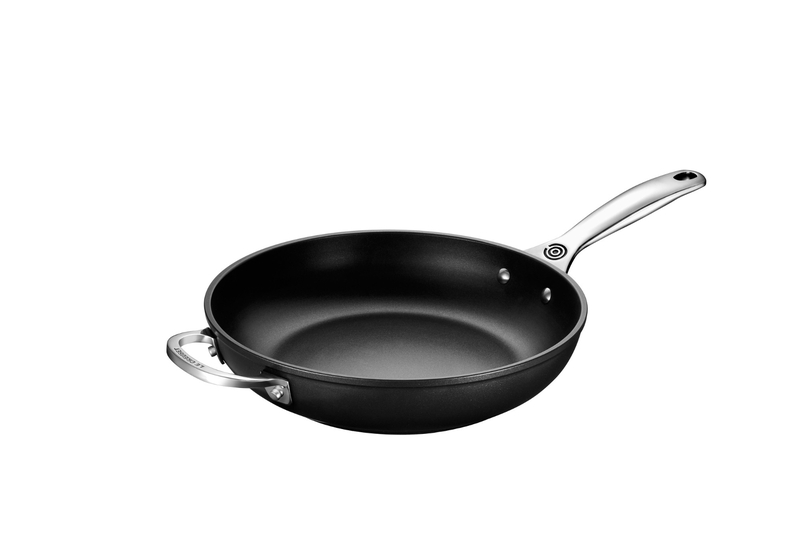 This deep, large-capacity size of the Le Creuset Toughened Nonstick 12 inch Deep Fry Pan features higher sidewalls that prevent spilling and allow for a greater range of cooking techniques. The addition of a helper handle makes moving a pan full of food or oil much easier. This cookware's patented nonstick coating releases food easily for quick, simple clean-up.